These stylish two-tone rectangular plaques are finely crafted in optical crystal and feature a clear and black glass plaque set on a black glass base. 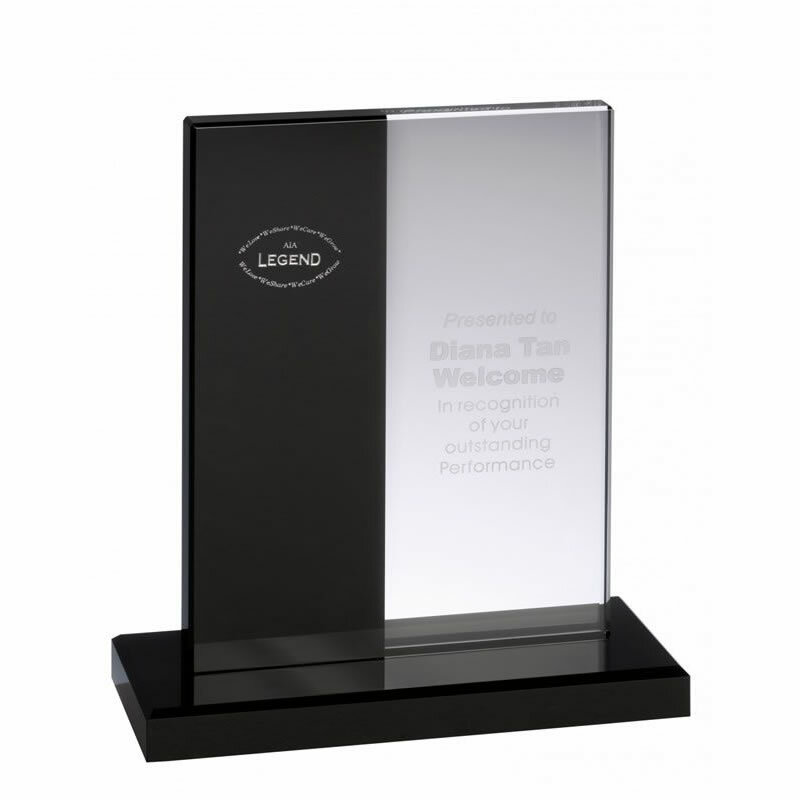 Standing 9.5in (240mm) tall, they can be engraved on the flat front of the award. 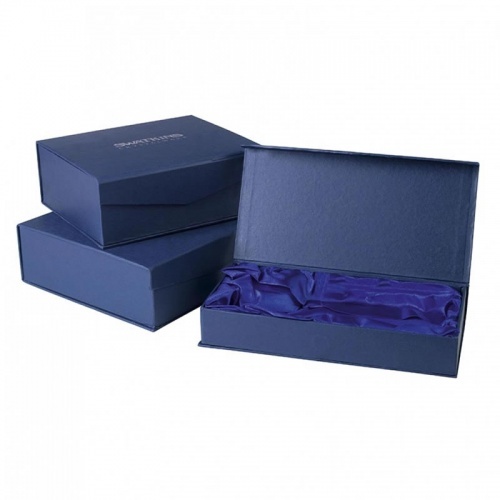 These quality glass plaque awards are supplied in an attractive foam-lined blue presentation box.